thalipeeth recipe | how to make thalipeeth | maharashtrian thalipith with detailed photo and video recipe. 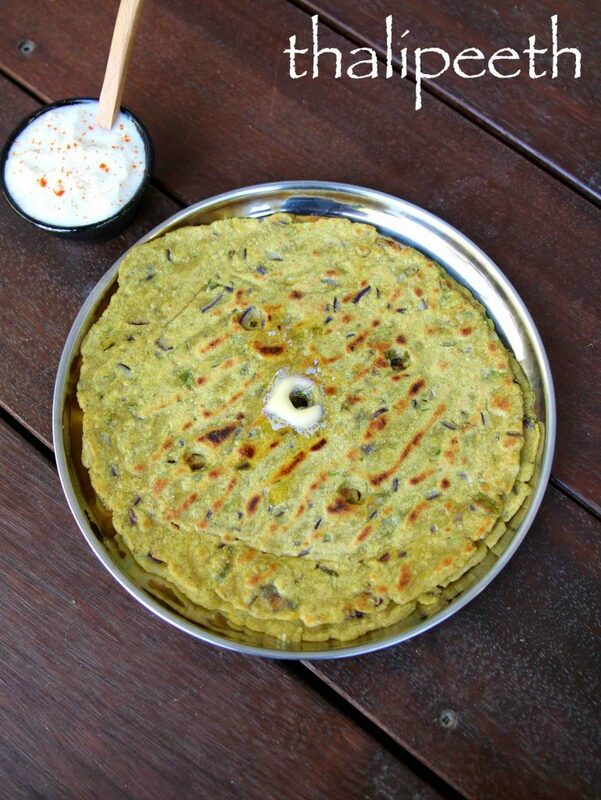 a healthy and tasty multigrain flatbread, mainly prepared in western india and north karnataka region. 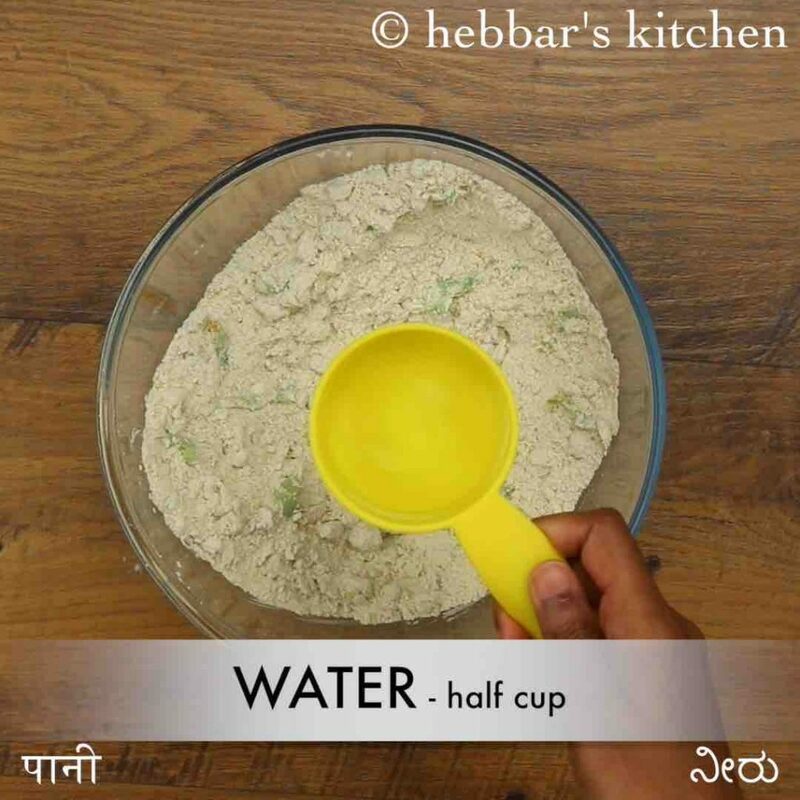 it is very popular in the marathi cuisine and is typically prepared with rice, wheat, bajra, jowar and besan flour. it is generally savoury in taste and can be served as it, but tastes great with butter and yoghurt/curd. thalipeeth recipe | how to make thalipeeth | maharashtrian thalipith with step by step photo and video recipe. 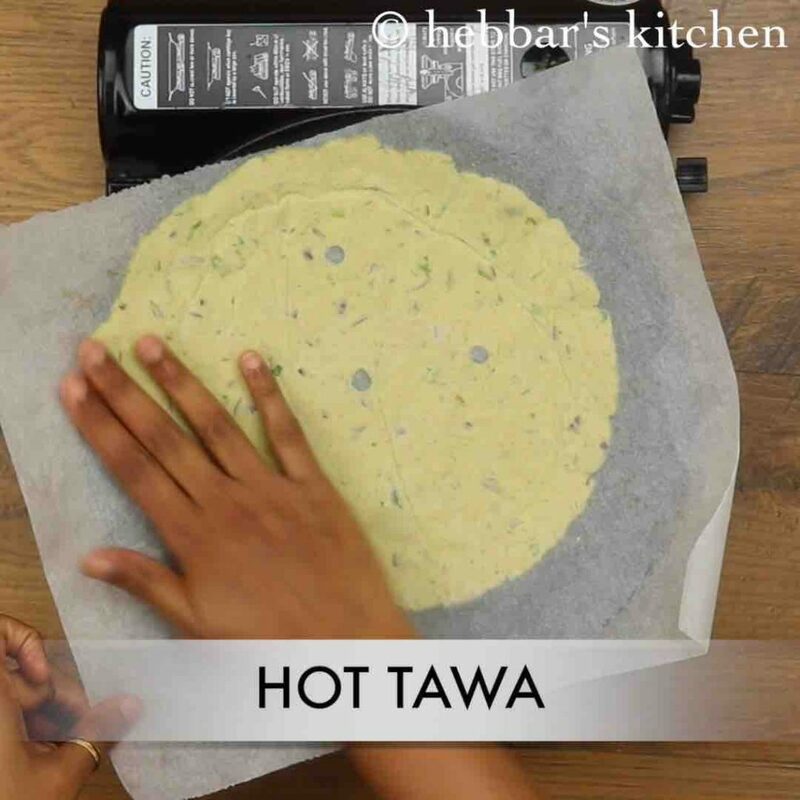 there are several ways the indian flatbread recipes are prepared which is generally prepared with single grain flour. 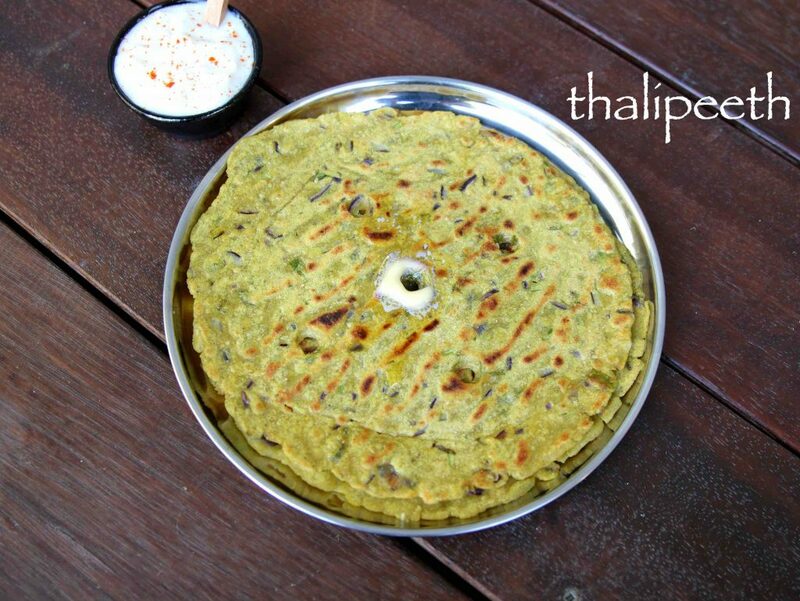 thalipeeth recipe is one such flat bread prepared mainly with a combination of flours with the addition of spices like coriander and cumin. in addition, onion and other veggies can also be added to make it complete meal by itself. i have already shared the other variant of this recipe i.e jowar roti and jolada rotti which is prepared in a similar way. but this recipe of thalipeeth is very authentic and traditional one native to maharashtrian or marathi cusine. perhaps this recipe is the most request recipe and it was long overdue because of the ingredients. basically, i was not able to get the key ingredient i.e fresh bajra flour in my place here. unfortunately, whenever i plan to shop it, it was either out of stock or almost expired with stale flour. eventually, it got delayed and i had to wait till it matched my shopping date. but luckily i was able to get hold of it this easter holiday, during my recent trip to sydney. 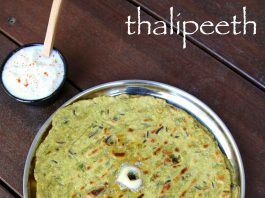 while the thalipeeth recipe is very easy to prepare, yet some tips, recommendations and serving ideas for it. firstly, i have added onions to this recipe and hence cannot be used for vrat or as fasting recipe. but it is not mandatory and can be easily skipped if you not like to. secondly, thalipeeth is generally served with plain yogurt/curd with either fresh butter or pickle as a side dish. alternatively, you can also serve these with any choice of curries like sprouts masala, bhaingan bharta or stuffed eggplant curry. 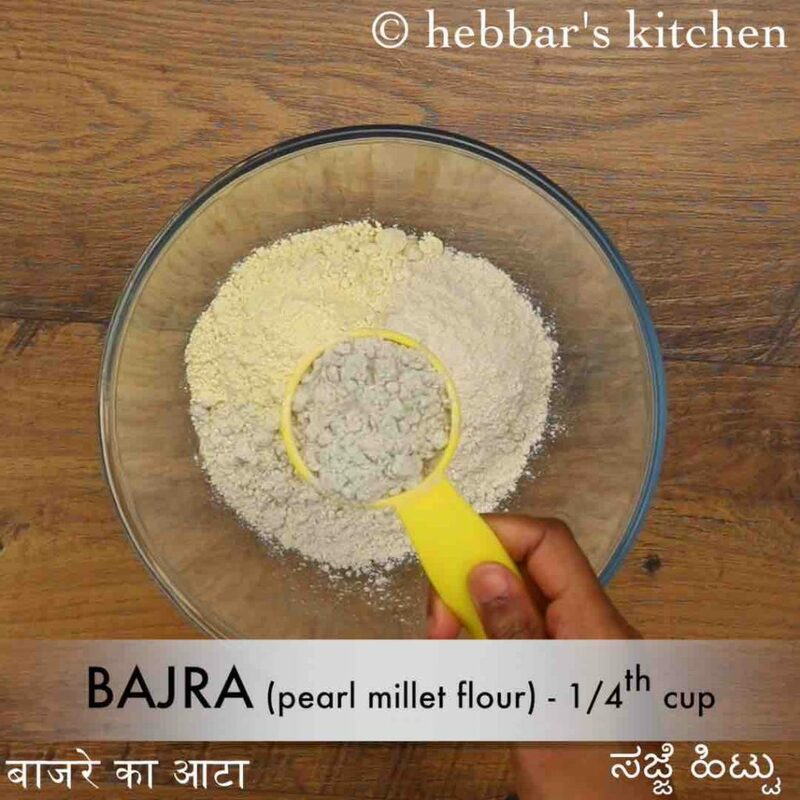 lastly, you can prepare the flour mix or aka bhajani flour well ahead in advance for future use. basically, the proportions would be the same used in the recipe. 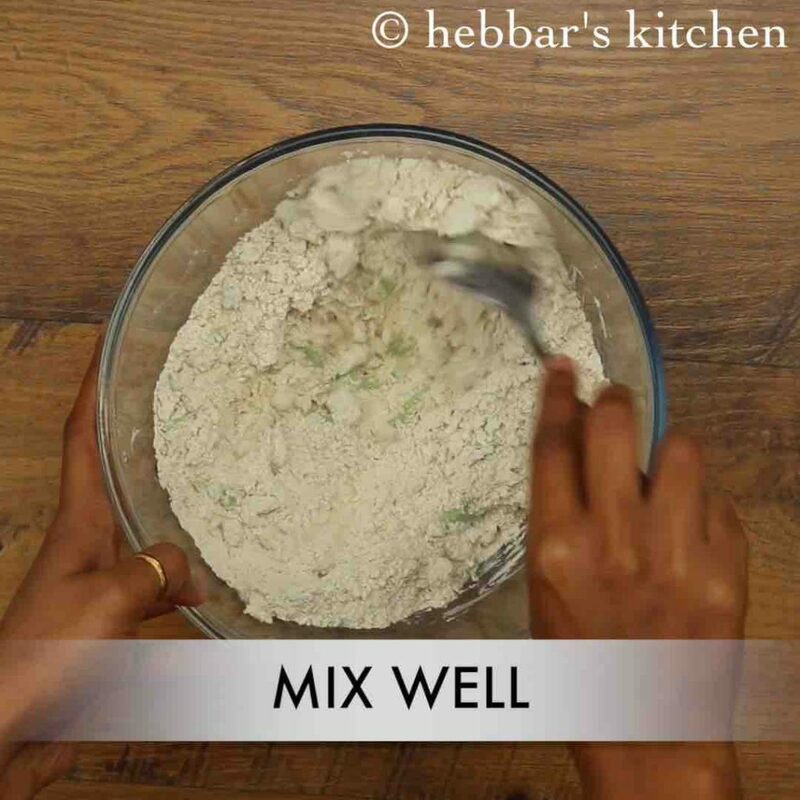 firstly, in a large mixing bowl take 1 cup jowar flour, ¼ cup besan, ¼ cup wheat flour, ¼ cup bajra and ¼ cup rice flour. 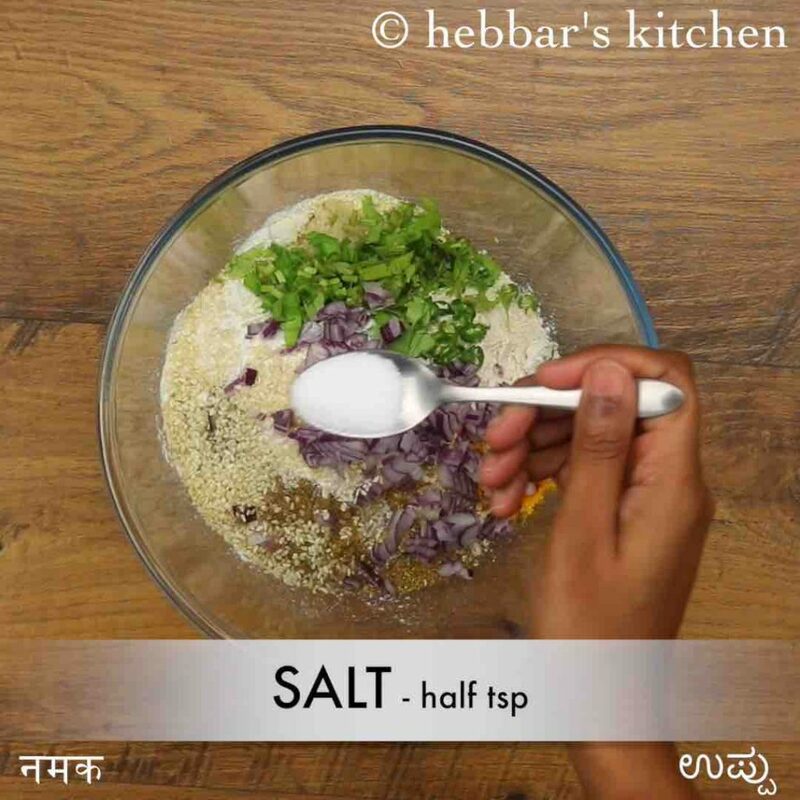 also add 1 tsp ginger garlic paste, 2 green chilli, ¼ tsp turmeric, ½ tsp coriander powder, ½ tsp cumin powder, ¼ tsp ajwain, 2 tsp sesame seeds, 2 tbsp coriander, 1 onion and ½ tsp salt. now add ½-1 cup water or as required and knead a dough. 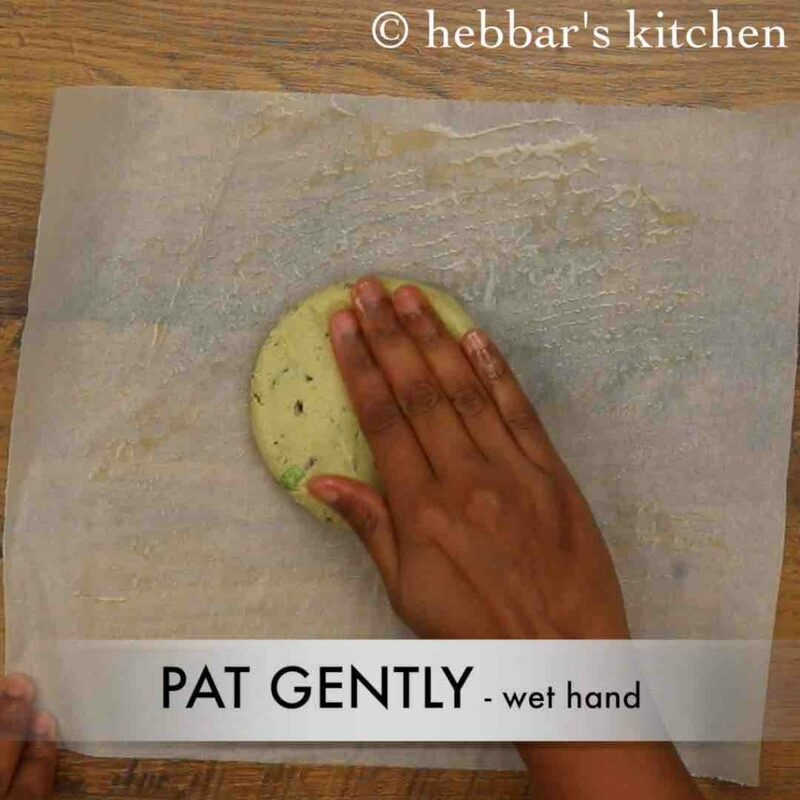 now take a small ball of dough and start patting over oiled butter paper. 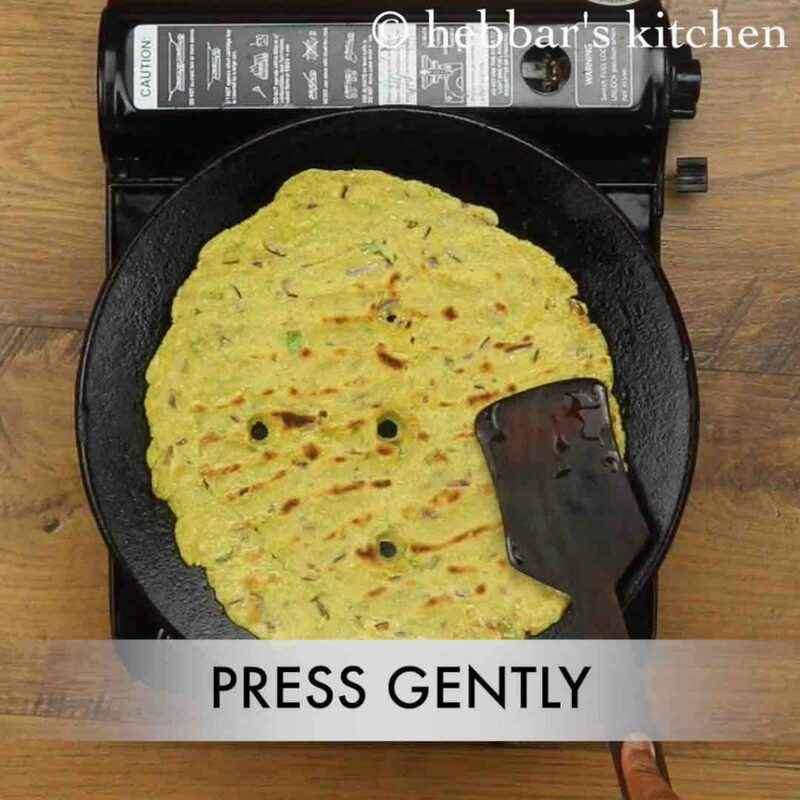 gently drop the sheet upside down over the hot griddle. peel off the butter paper sheet slowly without breaking your thalippeth. 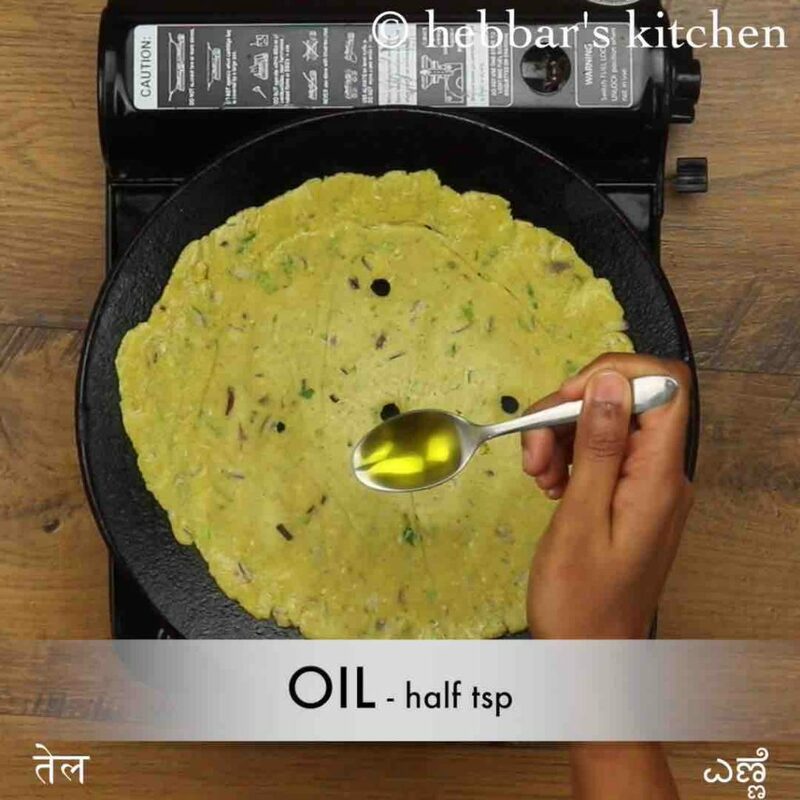 additionally, smear some oil over the thalipeeth. 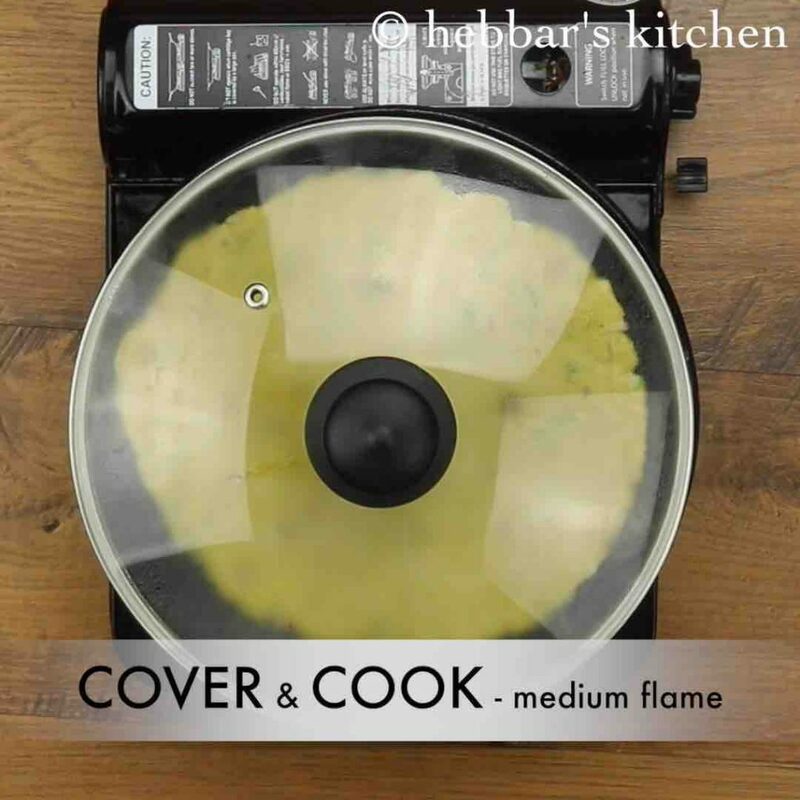 cover and cook both sides on medium flame. finally, serve the thalipeeth with butter, pickle and curd. 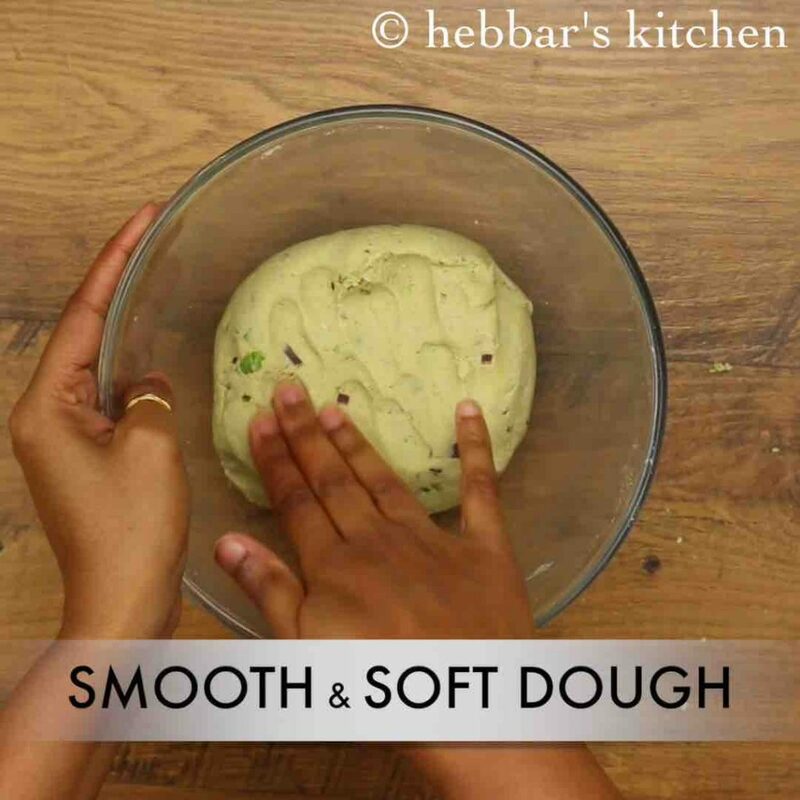 add more water if required and knead to a smooth and soft dough. 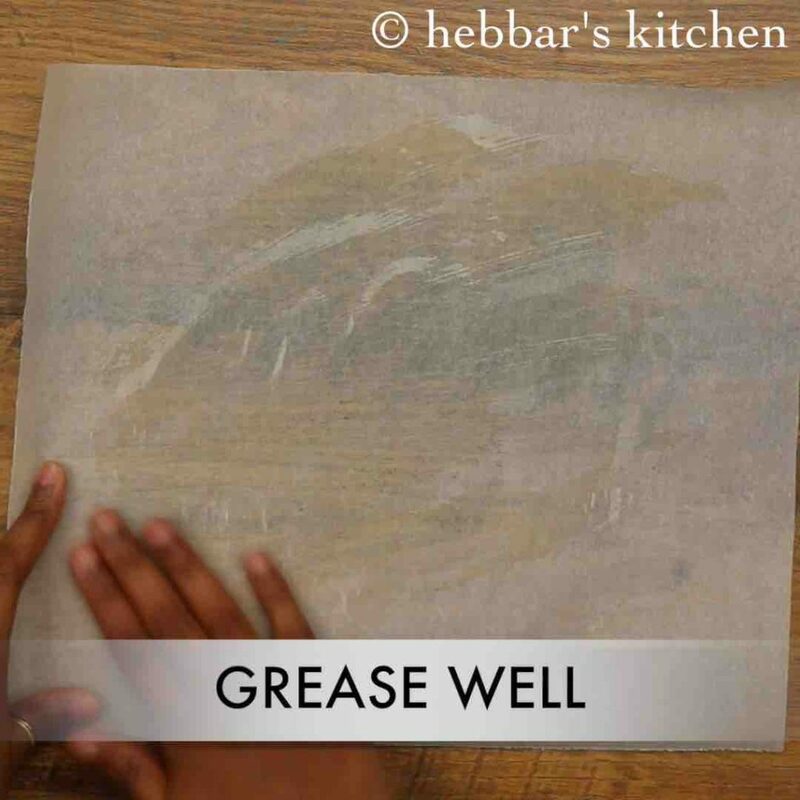 grease the butter paper with oil. alternatively, use a wet cloth for a more traditional way. now take a small ball of dough and start patting over oiled butter paper / aluminium foil or banana leaf. alternatively, use a wet cloth for a more traditional way. furthermore, pat as thinly as possible. dip your hand in water so that you can spread easily and avoid from having cracks. 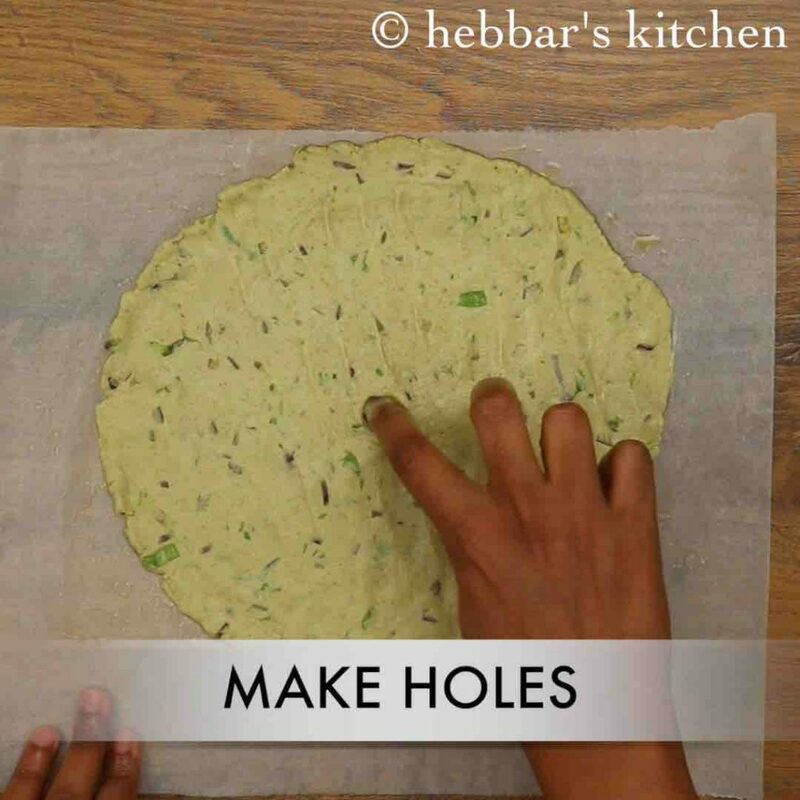 make some holes between so that your thalipeeth can absorb oil and cook fast. flip over and cook both sides pressing gently. firstly, adjust the proportion of flour to your choice. also, to make more nutritious add finely chopped palak / grated carrot to the dough. 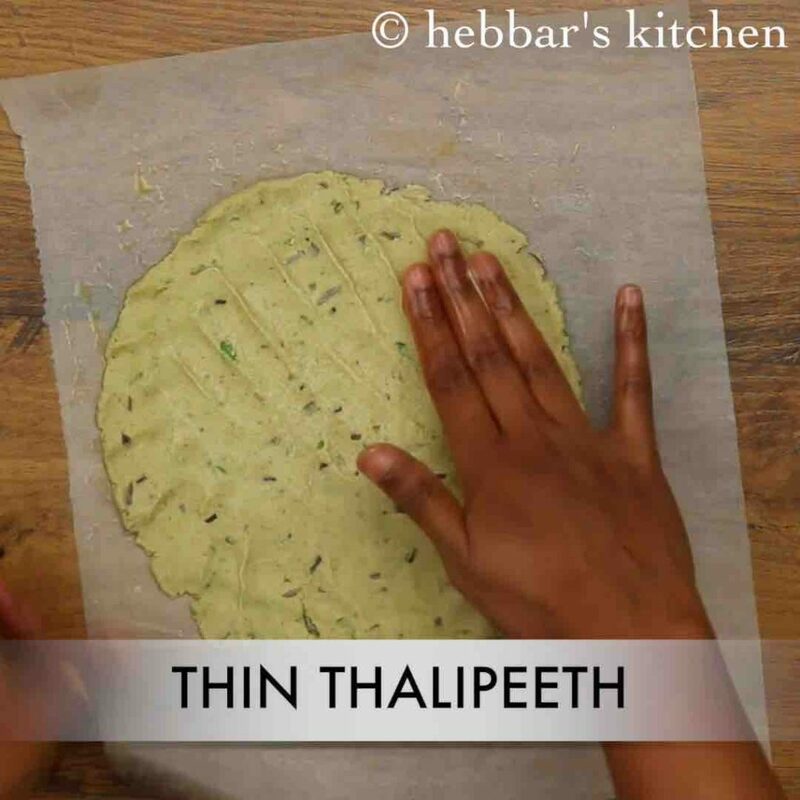 additionally, cover and cook the thalipeeth for more moist texture. 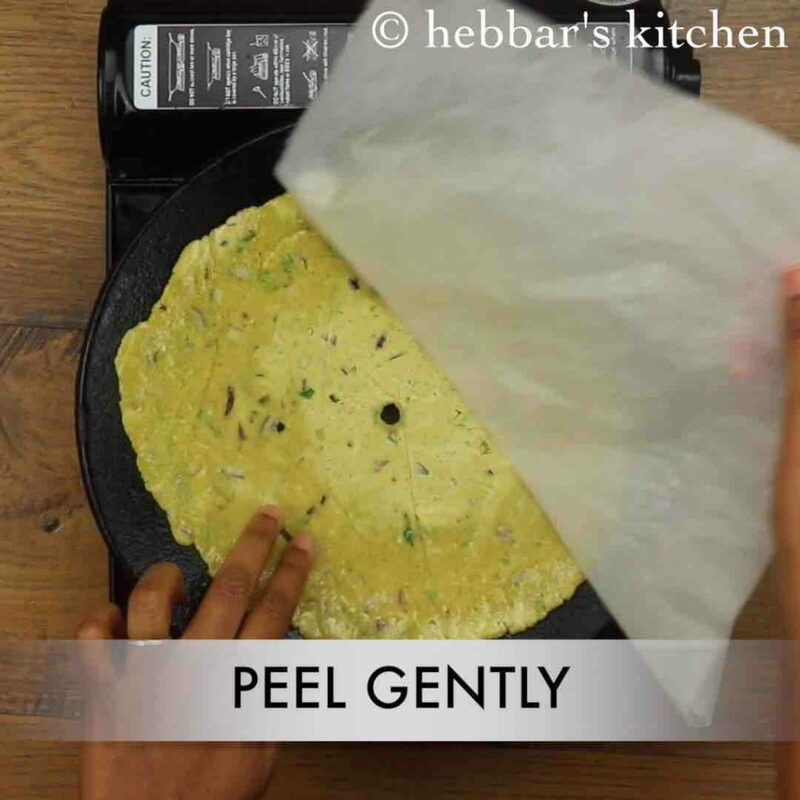 furthermore, use a wet cloth instead of butter paper for a more traditional way to pat thalipeeth. finally, thalipeeth recipe tastes great when prepared slightly spicy and served with butter.